Yeah, this pasta is for you. I receive a few magazines in the mail every month… but I’ve got a major backlog, so I find myself going through older magazines and ripping out the recipes I want to try, as well as reading any articles that sound interesting, all the time. Which means we’re trying new dishes in our home all the time, too. This particular recipe is strongly strongly adapted a Real Simple one. We tried the original and thought it needed a little more uumph… so we added more cheese (cheese! forever!) and lemon juice. 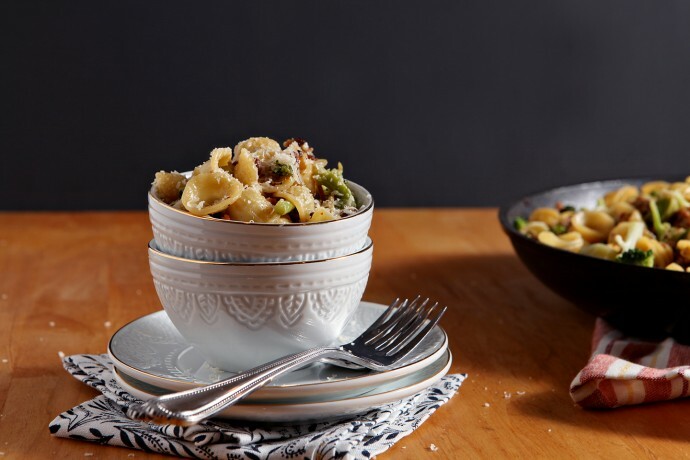 The pasta is perfectly cooked, and you add the broccoli to cook with the pasta for the last few minutes. The turkey is crumbly, slightly spicy and utterly delicious. The parmesan adds a nice creaminess. And the best part about this two-pot dish is that it is so easy to make for a weeknight meal with so little fuss, which is a MAJOR win in my book. Cook the pasta according to the package directions, adding the broccoli during the last three minutes of the cooking. 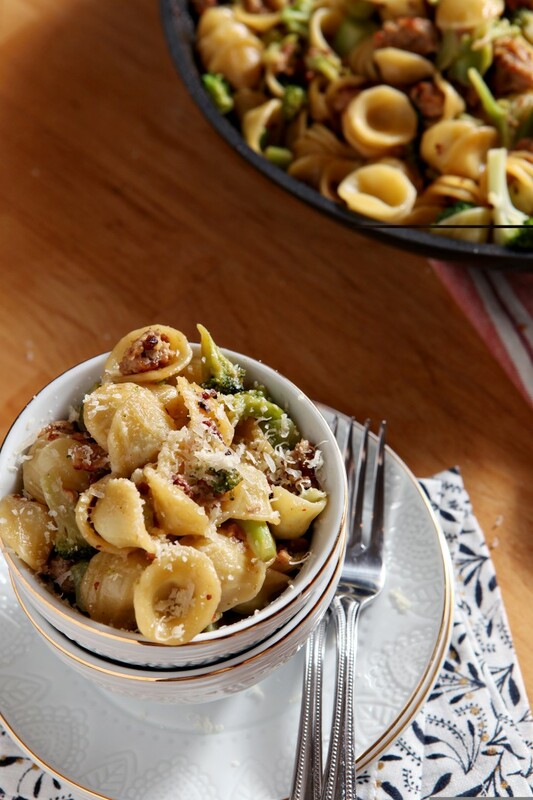 Reserve 1/2 cup of the cooking liquid, then drain and return the pasta and broccoli to the pot, and set aside. Add the turkey, garlic, Cajun seasoning, red pepper flakes and salt, then cook, breaking up the meat with a spoon/spatula, until very brown. 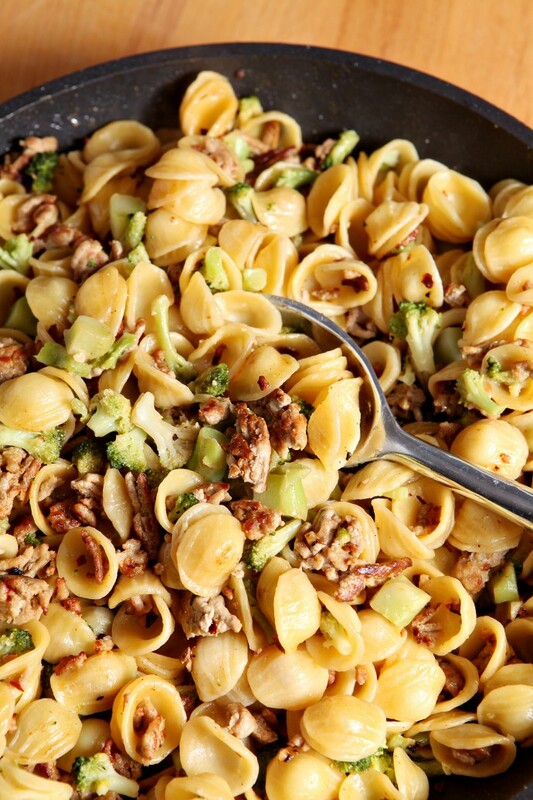 Squeeze in the lemon juice, then toss the turkey mixture with the pasta and broccoli. Measure in the parmesan and reserved pasta liquid, stirring until the cheese has melted, then serve warm with a sprinkle of parmesan on top. What is one of your go-to easy weeknight meal? Well this looks delicious and it’s a perfect weeknight meal. Pinning! What is reserved pasta liquid? You take out 1/2 cup of the liquid that the pasta was cooked in before it is drained, & add it to the remaining ingredients later. Chefs on tv do this all the time. Makes the sauce stick to the pasta better. Very good and spicy dish. Needed more cheese added to make it perfect!